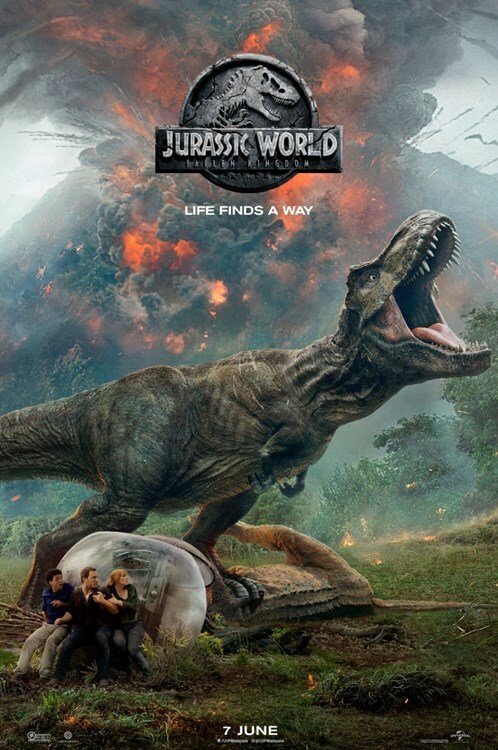 Three years ago, director Colin Trevorrow brought Steven Spielberg’s long-dormant Jurassic Park franchise back to life, with a storyline about a futuristic wildlife park that was so desperate to keep selling tickets, it was willing to genetically modify its creatures in the name of spectacle. Jurassic World wasn’t just a blockbuster, it was a meta-movie. The sinister Masrani Corp. was a stand-in for Hollywood and its obsession with bigger-than-big sequels, and the new Indominus rex dinosaur hybrid was the same kind of amped-up cash-in that movie audiences are sold every year. 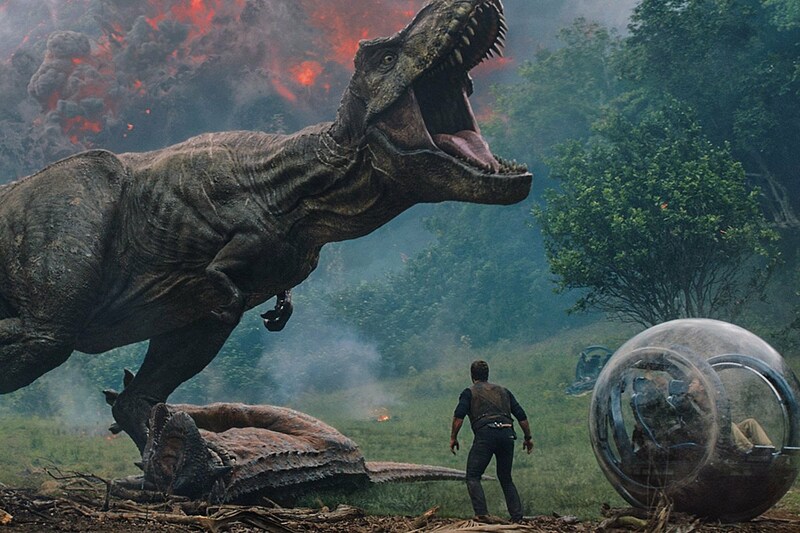 Trevorrow’s mildly subversive take worked for audiences, and the film grossed more than $1.67 billion worldwide, making it one of 2015’s biggest successes. It’s hard to know where its sequel, Jurassic World: Fallen Kingdom, would fit within that thinly veiled metaphor. Director J.A. Bayona (A Monster Calls, The Orphanage) brings a darker, horror-minded sensibility to the material, but it’s an uneasy match with the franchise’s Spielbergian moments of whimsy and wonder. 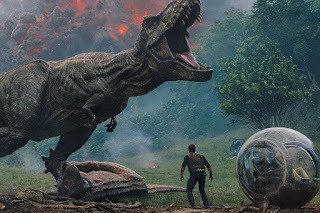 Rather than amping up the scale and spectacle, the latest franchise installment trades the vast landscapes of Isla Nublar for a claustrophobic setting that ultimately makes the whole thing feel like little more than an average haunted house flick. 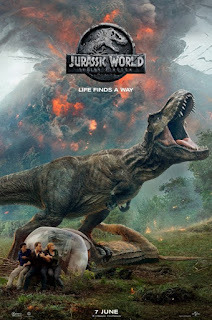 And the script, by Trevorrow and longtime co-writer Derek Connolly, repeats all the mistakes of the first Jurassic World, while taking so many new bizarre leaps of logic that it becomes difficult to suspend disbelief. They may have wanted Fallen Kingdom to be a self-aware blockbuster asking interesting questions, but they ended up with the kind of dumb, cynical blockbuster that the first Jurassic Worldwas warning audiences against. Chris Pratt and Bryce Dallas Howard return in the starring roles in this sequel to 2015`s "Jurassic World". Jeff Goldblum will also be reprising his role as Dr. Ian Malcolm.